BOSTON — In 1963, Greg Farrell, an assistant dean of admissions at Princeton University, learned that an organization rooted in the teachings of a German educator was about to launch a wilderness training school in Colorado. “I thought maybe they could use me,” he recalled recently. A year later, Farrell found himself on an arduous expedition in the Rocky Mountains with nine other people. Although Farrell considered himself to be fit, nothing had prepared him for this. More than 50 years later, 152 schools in the EL (short for Expeditionary Learning) Education network are doing just that, and the network recently created a grades 3-8 curriculum that has been downloaded nearly 8 million times. The schools have taken the principles that Farrell encountered in the Colorado wilderness and applied them to K-12 education around the country. As Farrell, who helped found the organization that would become EL Education, pointed out, this does not mean thousands of American schoolchildren scampering up rock faces. Following in the footsteps of Outward Bound, the schools that he and other developers envisioned aim to use real-life experiences to foster students’ compassion and perseverance, so that they can work collaboratively to confront issues in their own lives, their schools, their communities and beyond. The challenges they face in school can take the form of a snowshoe trek in the wilderness or a performance in front of an audience. 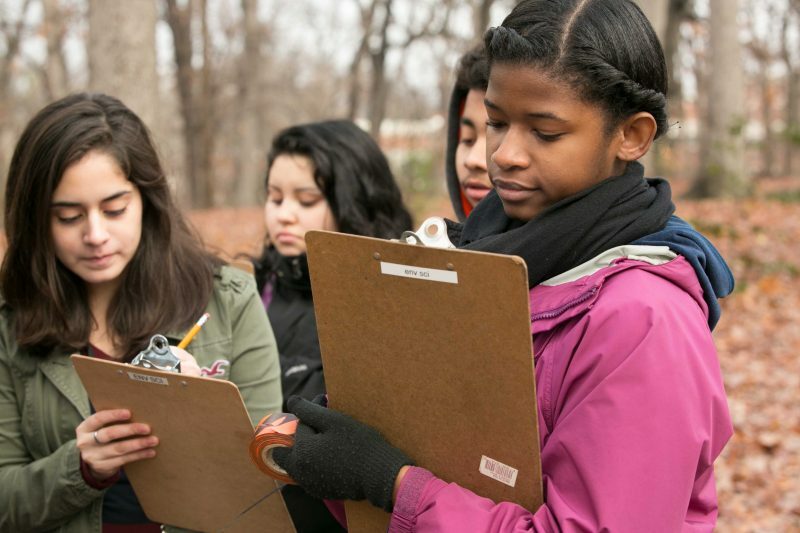 “The original idea for EL was taking the ideas of a good progressive education, the best of it, and combining it into something that could be implemented and serve low-income kids,” said Meg Campbell, co-founder of Boston’s Codman Academy Charter Public School, a member of the EL Education network. 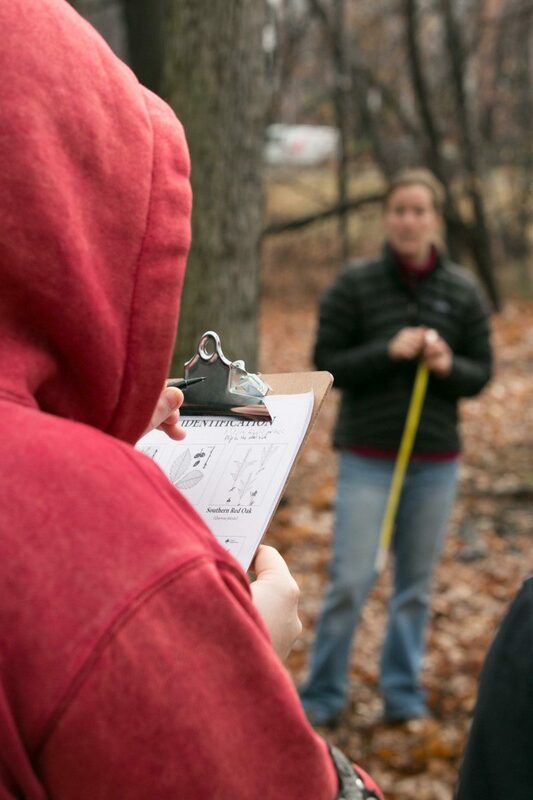 Farrell’s initial wilderness course had its origins in the ideas of Kurt Hahn, a German educator who believed that education must address character, students can learn by failing, and learning should involve real-world experiences. After World War I, he teamed up with a German prince to launch a school that embodied those ideas in the prince’s family castle. In 1933, Hahn fled Nazi Germany and opened a boarding school in an old estate near the Scottish coast. After World War II broke out, Lawrence Holt, the father of one of Hahn’s students and a partner in a shipping company, noticed that many young sailors were dying after their ships were torpedoed, while older seamen were able to hang on. Holt asked Hahn if he could create a program that would build sailors’ survival skills while fostering the compassion to help their shipmates. Hahn said he could. He and Holt called the class Outward Bound, borrowing a nautical term for a ship venturing out to sea. When the war ended, the organization began offering similar courses to the public. In the early 1960s Outward Bound came to Colorado. It now provides wilderness trips as well as expeditions aimed at helping veterans and young people in crisis and team-building programs for groups and businesses. Farrell’s Colorado experience stayed with him. By the late 1960s, he was running anti-poverty programs in Trenton, New Jersey, and looking for ways to engage young people. He thought a taste of what he had encountered in the Rockies might help, so he arranged for some teenagers to take an Outward Bound course. To try to have a longer-lasting impact Farrell created what he calls “my first draft of expeditionary learning” at Trenton Central High School. Over time, Farrell and other like-minded people, including Campbell and Dr. Paul Ylvisaker (then the dean of Harvard’s education school), developed and honed the EL ideas. Bolstered by foundation funding, EL high schools began opening in the early 2000s, largely in low-income communities. Today, EL Education says, the schools in its K-12 network serve about 50,000 students. They include traditional public schools and charters. Most are small. Their curricula differ according to their students, local and state rules and staff priorities. But all of the schools look back to the original ideas of Outward Bound, such as the need for “self-discovery” and an emphasis on collaboration and community. Their learning centers on projects and real-life experiences. Service is key, so projects often involve themes of social justice and community improvement. Juniors at Casco Bay High School in Portland, Maine, have gone to Detroit to do volunteer work and create short videos about community organizations and activists there. Previously, Casco Bay students traveled to other places in crisis, such as Biloxi, Mississippi, after Hurricane Katrina, and Queens, New York, following Superstorm Sandy. Students at Harborside Academy, a 6-12 charter in Kenosha, Wisconsin, focus on food availability. They have created their own vegetable gardens and raised funds to bring plant beds to local elementary schools. There are few numbers detailing EL schools’ performance. A 2013 Mathematica Policy Research study of several EL middle schools found that after three years the EL students had made significant gains in reading and math compared to other middle school students. A 2011 study of two EL middle schools and one EL elementary school in New York State found that they fared better at reducing race and income achievement gaps, particularly in English, when compared to similar schools. Supporters of EL like to say that the approach can work with any child. But it does not work for all schools. Some leave the network, and most schools that express interest in joining never do. The $60,000 to $75,000 annual fee for the first four years (it then goes down), covering professional development, strategic planning, coaching and resources, can be an obstacle. The EL approach, chief academic officer Ron Berger said, works best with small schools, new schools and those with autonomy. 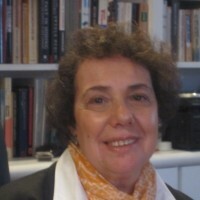 Berger said, “Kids are asked to do harder work than is typical” with more difficult source material and deeper-level tasks. 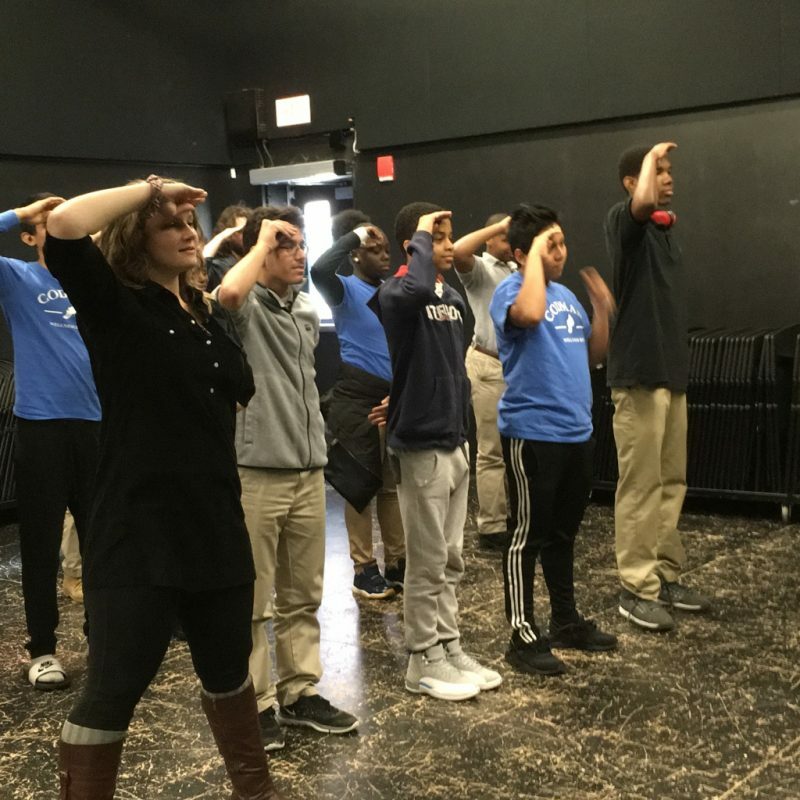 At Codman Academy, a small charter school in the Dorchester section of Boston, the challenge of EL takes students to a downtown theater and their neighborhood streets. And the challenges involve venturing not up a rock face but out on stage all alone. On a Thursday morning, high school students at Codman Academy packed into their black box theater for the weekly student-run meeting. It was noisy and standing room only. At the end of the meeting came the tradition called “kudos,” in which students and faculty offer praise for a person or group. The school is largely Campbell’s brainchild, and it’s quite different from most American high schools. Everyone is on a first-name basis. Students take Saturday classes. The school shares its building with the Codman Square Health Center, where students get screenings and some have internships. And everyone must perform before an audience several times in their four years. In their first year, all students recite a poem — from memory —in the Poetry Out Loud competition. 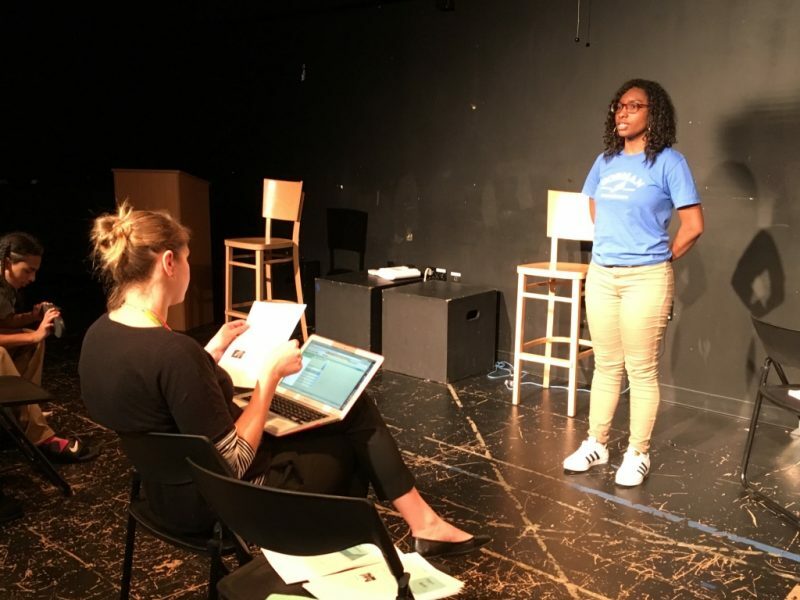 Later this year, ninth graders will act in an adaptation of Athol Fugard’s apartheid-era drama “Sizwe Banzi Is Dead” and sophomores will compete in the August Wilson Monologue Competition. “It’s harder to do theater than to climb a rock wall because you’re climbing the rock wall as an individual,” said Campbell. Campbell and Sydney Chaffee, the 2017 Massachusetts teacher of the year, think the partnership with Boston’s Huntington Theatre is particularly valuable for Codman students. “When they get up on stage they hold all of the power in the room,” Chaffee said. Many students agree. Senior Shameka Joseph said, “Being on stage made me feel different.” Although she said she is “a shy person,” she enjoyed performing and hopes to continue with it after graduating. Codman has its struggles. Many, though not all, students, arrive at high school two to three years behind grade level, yet its four-year graduation rate in 2015 was 72 percent, slightly better than Boston’s overall average. Maintaining order can be an issue. The week before Thanksgiving, a game designed to prepare ninth-graders for a test stalled periodically as some students refused to participate and others shouted out of turn or insulted classmates. The next morning, many of those students were in the theater to practice their poems. Several were reluctant; some seemed to be going through the motions. Others, though, found poems that spoke to them. Klarah Phillips recited “Little Father” by Li-Young Lee because it reminded her of her late grandfather. “When I’m doing the poem, I’m thinking about him,” she said. And as the morning progressed, every student recited and listened respectfully as their classmates performed. This story was produced by The Hechinger Report, a nonprofit, independent news organization focused on inequality and innovation in education. Read more about high school reform. Unlike most of our stories, this piece is an exclusive collaboration and may not be republished. Can all students succeed at science and technology high schools? What does it take to get students ready for college? What happens to a turnaround high school when transformative principal walks away?